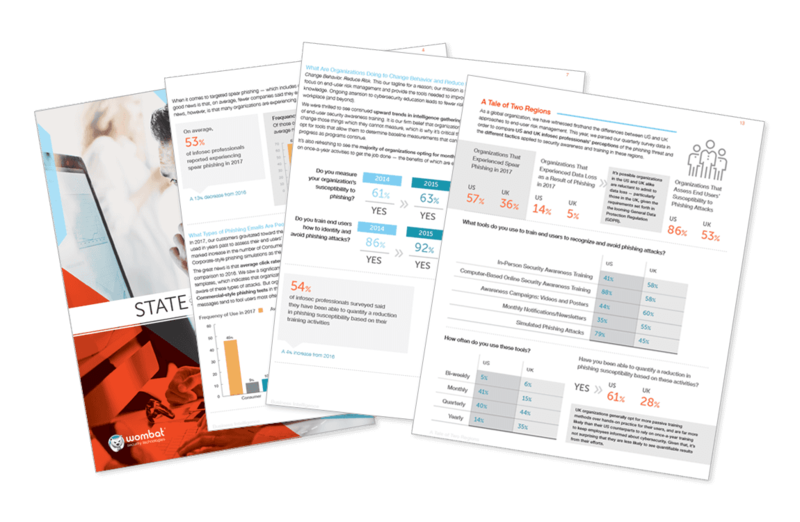 Wombat Security Technologies (Wombat), the leading provider of cyber security awareness and training, today announces the release of its annual State of the Phish™ research report. The report findings demonstrate that the war against phishing is still on, with 76% of organizations experiencing phishing attacks in 2017 and nearly half of information security (infosec) professionals saying that the rate of attacks increased from 2016. The impacts of phishing were also more broadly felt than in 2016, with an 80+% increase in reports of malware infections, account compromise, and data loss related to phishing attacks.